I read this one in late middle school, in the early 2000s - it's the first in a great series, though the second one is my favorite. Bringing this along to the Boston Bookcrossers meeting this afternoon for trading. If no one takes it then it'll come back home with me. I got this book at today's Meetup at the Porter Square Panera. (It was a lovely meetup, with some new faces as well as old friends; thanks to all! And it was great to finally meet you, Iddylu!) I've read this before, and will release it in one of the many Little Free Libraries in town. 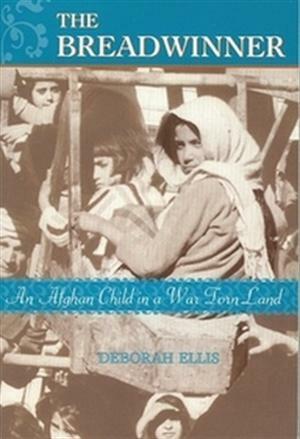 The book's about a young girl living in modern-day Afghanistan, and shows the hardships of ongoing war and of the oppressive Taliban regime. It manages to be both horrifying and heartwarming, with touches of humor here and there, as young Parvana copes with sibling rivalry at the same time as she deals with severe social restrictions and the threat of physical punishment. The ways in which the people - especially the women - cope with the incredibly harsh restrictions placed on them by the Taliban are many and varied, and demonstrate considerable spirit. I was rather surprised at some of the jobs that our heroine took on, from serving as a letter-reader and scribe to helping dig up human bones for use in making fertilizer. And the repeated references to the number of people with missing limbs, from the war and from the many land mines, are reminders of the harshness of life in war-torn regions. 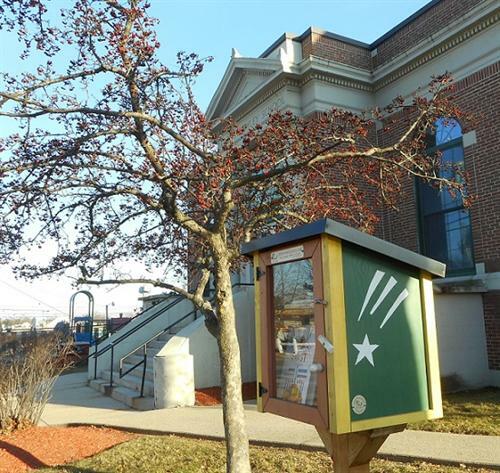 I left this book in the Little Free Library on this bright, chilly day; hope someone enjoys it!